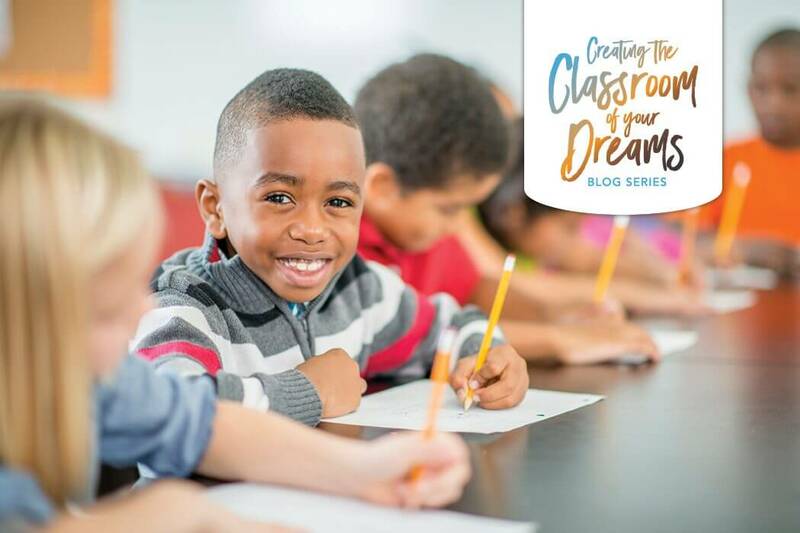 This is the second article in the “Creating the Classroom of Your Dreams” series. This series will uncover a multitude of concepts for teachers to implement that will create a well-functioning, parent-inclusive classroom. Check out article one HERE. Oh how we all LOVE testing, testing, and more testing! Actually, I do LOVE testing season – and with some creative thinking, most students can too! 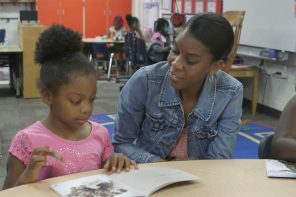 Having been a third-grade teacher most of my career, I have learned numerous strategies to motivate and make days and days of standardized testing for third graders fun, exciting, and motivating. I personally take a “no worries” approach to testing and then relay the same feeling to my students. This low stress, “no worries” approach helps create a competitive team in my classroom. At the beginning of the year, I refer to my class as a “crew.” A crew consists of team members that must work together to fulfill or succeed in a task. Crews are on ships, airplanes, construction projects, and sports teams. Most often, when testing season approaches, our “crew” becomes a soccer team. After you create strong and trustworthy relationships with all of your students, you will find out what interests your “crew” the most. My students brainstorm all of the “crew” members needed to successfully win soccer games and how it is truly a team sport. We focus on offensive and defensive players, and of course, the goalie. In this instance, the playing students inform one another that one player most likely can’t win the game individually for the team. Without the team working together to dribble, pass, play defense, and kick, no goals will be scored and no wins will occur. Now, when it comes to testing season, the soccer “crew” becomes one big team working together, yet at the same time, competing against one another. I start by setting personal goals for all of my students. 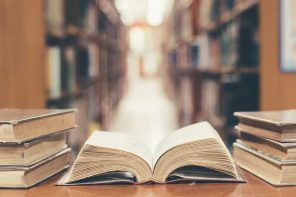 I feel the most important key to improving test scores is to create a goal that can realistically be reached by every student in your class, yet still be on par for required grade level benchmarks. I set individual goals for every student on every test. Later in the school year, the students create their own goal using their personal data from previous assessments. 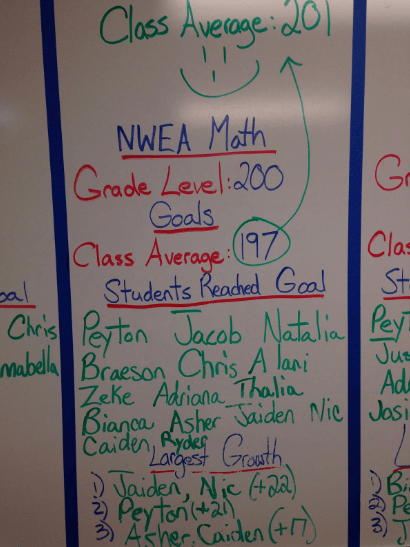 I also set a class goal that consists of all of the student goal averages on every test. 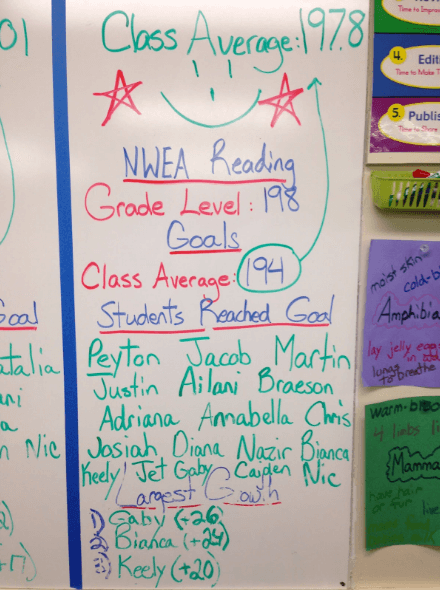 These class goals are posted in the classroom, along with individual and whole class grade level benchmark goals. I know this sounds like a lot of extra work, but it truly is not if you take the “no worries” approach. Most students buy in quickly and want to make sure the team succeeds, scores, and wins the soccer game. The students quickly know that a lack of effort or focus will hurt the team and therefore will not win their game, just like in a real world game of soccer. Now, I know that not all students are just going to sit down and do their best work without some extrinsic motivation or end product to reach. 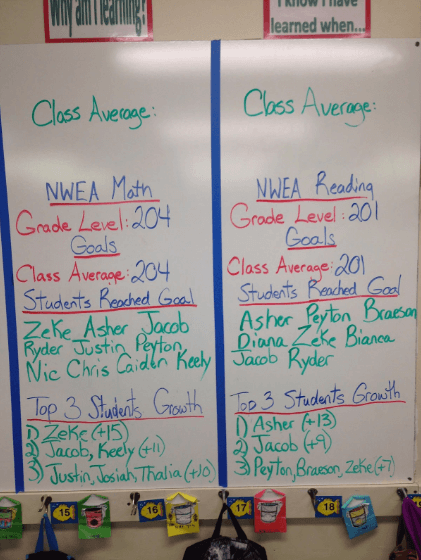 To elaborate, I have worked with the NWEA assessment for nearly a decade now and feel confident using its data. This is a fantastic assessment to try and implement my “no worries” approach. 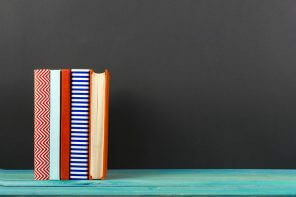 The assessment provides you with a grade level benchmark and personal goals for each student on every assessment at specific times of the year. The student also knows where they need to be by the end-of-the-year. Personally, I am not a huge fan of extrinsic motivation and I try to pull the intrinsic pieces out of all my students. However, that does not always work as you hope or plan for, especially in the beginning of the school year. Therefore, my most important tool of extrinsic motivation is public recognition and acknowledgment of students’ successes. On a whiteboard, in my classroom, I post students that met their personal goal and then the top three students who made the most growth on each assessment. This is a live running whiteboard that I update after every student finishes, just like a realistic scoreboard. All of these students’ names are recorded on the live board, and also later verbally acknowledged in a whole “crew” celebration. I read off the students’ names and they take a bow, while their other “crew” members clap and cheer for them. The smiles of accomplishment and success fill the room. Your extremely competitive students will most likely create mini games amongst themselves to see who can receive the most recognition. As a result, enormous amounts of student growth can occur from these established mini games. However, at the same time, students that did not make their goal are motivated so they can be publicly recognized and cheered for the next assessment. 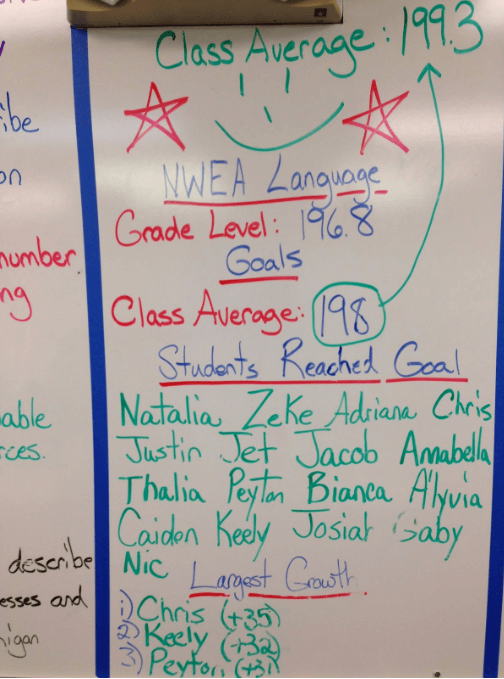 Additionally, I also provide pizza, ice cream, or root beer float parties if the whole class meets the class goal on both the reading and math NWEA assessments, specifically. Any student that meets or breaks their individual goal on one or more assessments also receives anything from a pencil, extra recess, a hike on campus, to lunch with their teacher. These individual student motivators do not cost me any extra money. These easy extrinsic motivators eventually establish a competitive “no worries” student who wants to intrinsically succeed, because they realize their “crew” needs them and every other teammate to win the game and later be successful at everything they do. No matter how you design your motivational testing system, goal setting and positive recognition thrive in the classroom. Jonathan Selbig is a third-grade teacher at West Michigan Academy of Environmental Science (WMAES). He has been an elementary teacher for nine years, beginning his third year at WMAES this fall. Jonathan is a proud Spartan alumnus, avid outdoorsman, and he and his wife, Chelsea, have two young children.